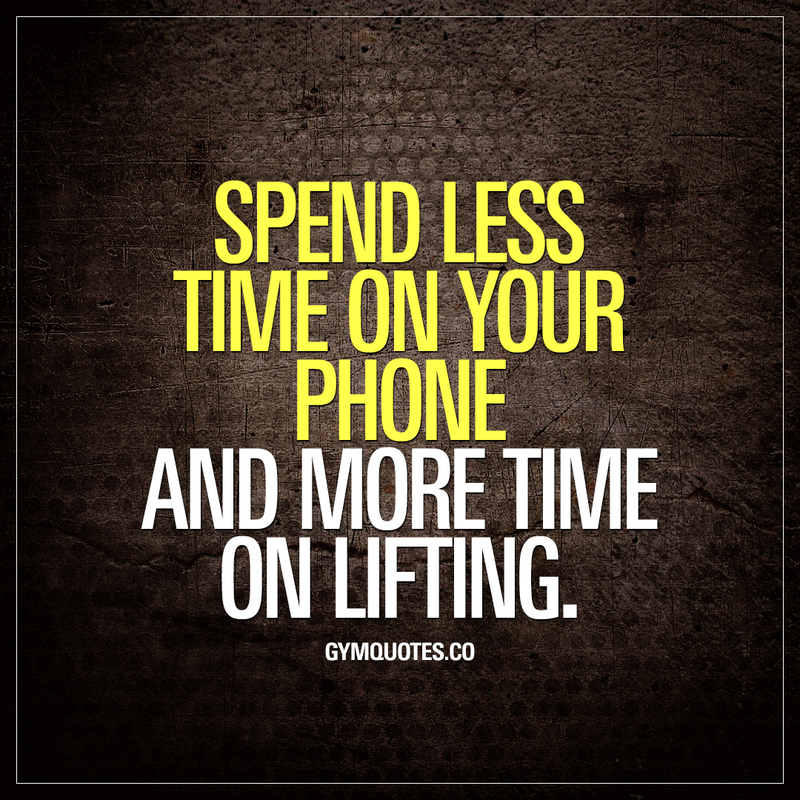 Gym quotes: Spend less time on your phone and more time on lifting. I see so many in the gym with their faces buried in their phones. Now – as always – I’m all for you doing what makes you happy and what makes you feel good. So if the phone is your main mission in the gym.. So be it.